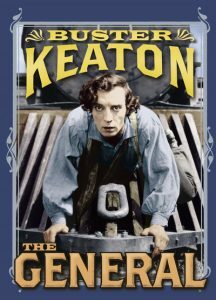 Buster Keaton’s magisterial “The General”. 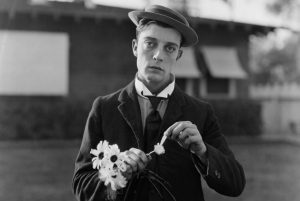 Buster Keaton, a force of nature. Keaton grew up as part of a family vaudeville act and he made his way inevitably to New York in 1917, where he teamed up with Fatty Arbuckle at the Talmadge Studios – sticking by the latter, both publicly and financially, after his spectacular and unmerited fall from grace. By 1920, he’d married one of the Talmadge daughters and had moved out to Hollywood where he set up and ran his own, independent film studio. 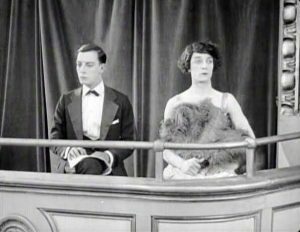 There, he produced a succession of spectacularly successful shorts, including the justly renown The Playhouse, in which he plays all of the dozen and more characters who people the first ten minutes or so – although beautiful he might have been in a suit, but I’m afraid he very much failed to cut it when trying to sport a dress. By the middle of the decade, his ambitions had expanded and he moved into fully fledged features, which eventually produced The General. At the time, it was the most expensive film that had ever been made, but tragically it flopped, and he was forced to close down his studio, losing his much cherished independence in the process. 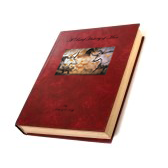 And at exactly the same time, Al Jonson could suddenly be heard in cinemas throughout America, as over night the arrival of the talkies rendered the silent era redundant. 6 Keatons look and listen on, as Keaton conducts in The Playhouse. Predictably, his wife Natalie left him, taking all his money and both his sons – generously forcing them to change their surname – and, following in his father’s footsteps, he slipped into alcoholism and increasing anonymity. But, after briefly marrying and divorcing a nurse at the institution he’d been confined to, he met and married his third wife, Eleanor in 1940. At 22, she was literally half his age and neither of their friends held out any hope for the union. Remarkably, it lasted for over a quarter of a century, and she can largely be credited with helping him to turn his life around. Beckett’s Film, starring Buster Keaton. There was a second act of sorts, in television and with cameos in the likes of A Funny Thing Happened on the Way to the Forum. 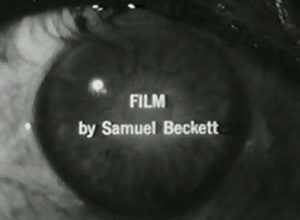 As well of course as in Beckett’s only foray into the medium, Film of 1965. And he seems to have borne it all, once he got over his alcoholism, with remarkable equanimity. 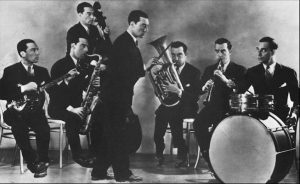 But there’s no getting away from it, his talents were criminally overlooked in the course of his own life. And it’s really only now that people have come to fully appreciate the scale of his genius. In a way, it’s not hard to see why The General perplexed those initial viewers. It doesn’t have the same madcap mayhem of those earlier shorts, and is a far more measured, mature and sophisticated a piece. It still has any number of those jaw-dropping feats of physical daring that so thrilled audiences then. As a matter of fact, it’s probably we who fail to fully appreciate the physicality of his film making, so used are we now to just assuming that everything we see on a screen must obviously have been doctored and massaged. Have a look at this 5 minute clip here, and then have a look at it again. There are no special effects or stunt doubles, and the only trick photography he ever uses is the sort of sleight of hand that is self-evidently a trick. Like the time he appears on stage in The Playhouse playing all 9 members of the chorus line, as well as each of the members of the orchestra below. Other than which, everything you see him do, physically, he really does actually do. That he was the greatest physical actor of the 20th century is without question. What he shows in The General is that, beyond that, he had an astonishing gift for depth and subtlety and a God like sense of timing. Never has the great stone face been put to more impressive if impassive use, and the performance he conjures up in between literally death defying stunts of Archimedian precision is a sight to behold. He was quite simply an irrepressible force of nature. So the next time you have 78 minutes to spare, watch The General which you can see here.